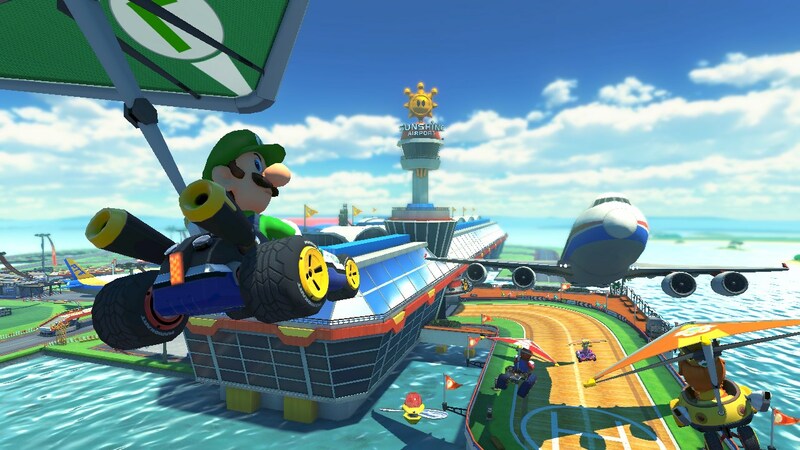 Mario Kart 8 is as Mario Kart as Mario Kart games come. 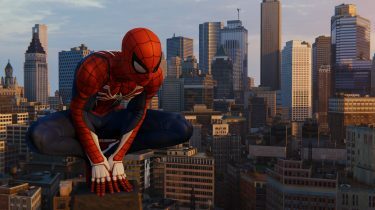 Better yet, it’s the best game in franchise history, hands down. With only one major negative point, Mario Kart 8 delivers the crazy fun and addictive kart racing experience we’ve come to know and love, with top-notch visuals, excellent music, and plenty of content to keep us playing for ages. As usual, Nintendo has stuck pretty close to the formula with Mario Kart 8. 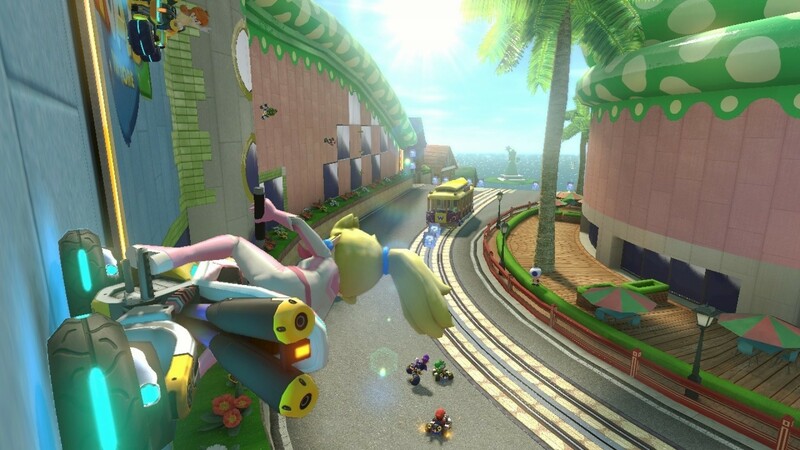 The only exception is that there’s more in the way of kart customization, and the tracks are pretty nutty, with gravity-defying sections that provide a truly exciting experience. To top it off, Mario Kart 8 is easily the best looking game on the Wii U to date. Grand Prix is the core game mode we’re used to, which pits you against 11 AI players (or 8 AI and 3 other humans) competing for a cup at the end of 4 races. 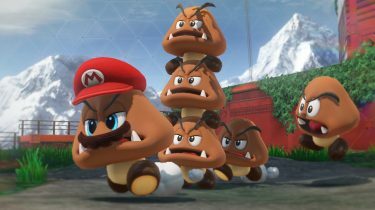 There are 16 new tracks, and 16 remade tracks spanning all of the previous Mario Kart titles, right back to the original SNES game. The older tracks feel pretty dull in comparison, as they don’t contain the same level of crazy gravity-defying sections, but some have been upgraded. They all look great regardless, and it’s pretty neat to see some of the classic tracks remade in HD glory. The usual gang is back, along with each the Koopa kids. The baby characters are pretty silly, but my youngest daughter likes being them, so I suppose they appeal to the younger audience. You can also play as any Mii that’s on your Wii U, which is kind of neat. One thing I really love, is the kart customization this time around. 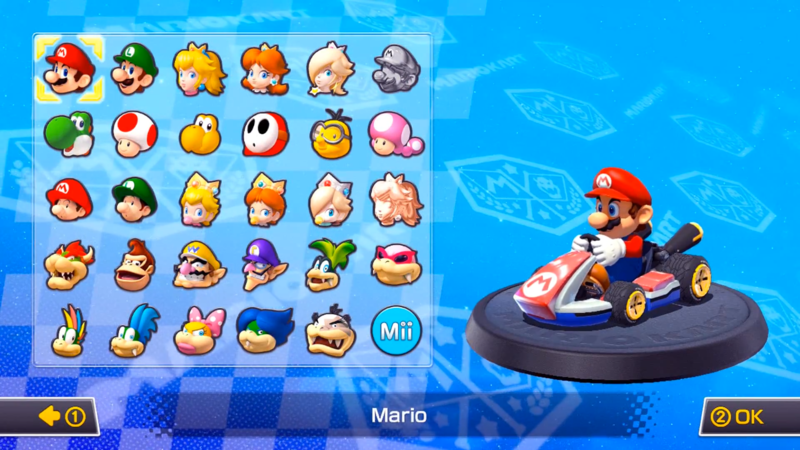 There are a pile of unlockable karts, wheels, and gliders, which are earned by collecting coins in races. Mario Kart 8 can be played online with 11 other players, and there’s even a co-op split-screen mode, so you can have a buddy on the couch beside you playing online as well. In the time I spent playing online, I only had one game drop the connection, and I was in first at the time, so go figure. Other than that, it’s been surprisingly smooth. Time trials are back, and even better than in previous games. You can now download ghosts from the top players in the world and see how they accomplished their record breaking times. This is a good way to learn the quickest routes for each track, and see how the best-of-the-best do it. That negative point I mentioned earlier is Battle mode. The premise is mostly the same; each player has 3 balloons, and the person who pops the most balloons when the time limit ends is the winner. The downer, is that there are no battle arena tracks. Only the classic remake tracks are available for Battle mode, and they’re simply not suited for this game mode. It’s simply not fun at all. 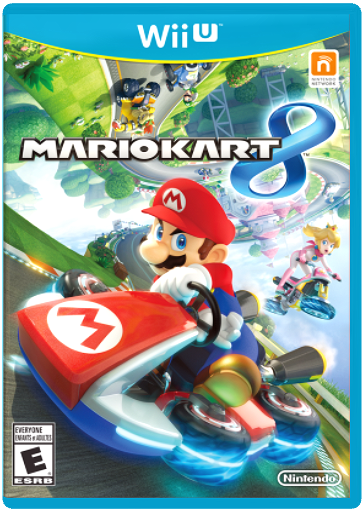 Since I started playing Mario Kart 8 and talking about it on Facebook and Twitter, I’ve been asked several times, “Should I buy a Wii U for this game?” That’s a really tough question to answer, since the Wii U is $300 at the moment. 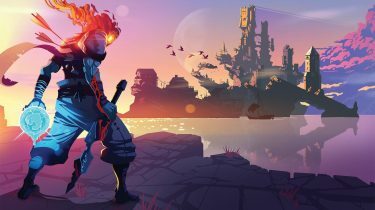 If there are other games that interest you on the platform, than yes. Otherwise, that’s a pretty big expense for a single game. Especially if you’re going to pick up several controllers for local multiplayer. It’s a great game, but hard to call a title like this, which is simply another iteration of a well known game, a “system seller”.